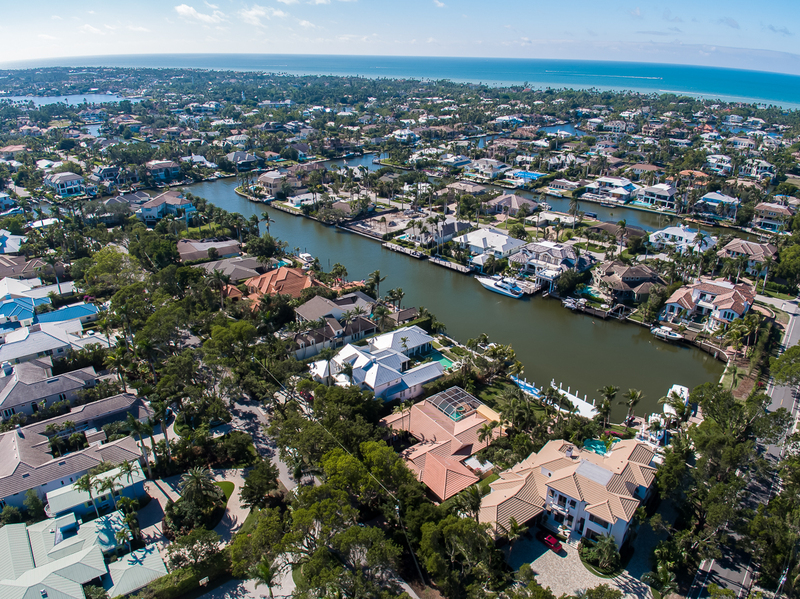 Aqualane Shores is a waterfront community in Naples, Florida with deep water canals and close proximity to the historic Third Street and Fifth Avenue shopping districts. 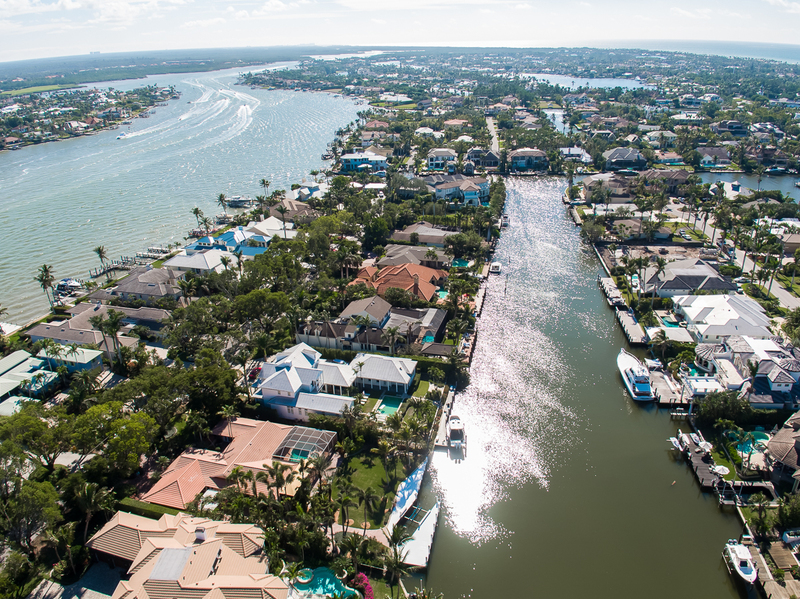 The community offers easy ccess to the area’s best restaurants and the Gulf of Mexico beachfront. 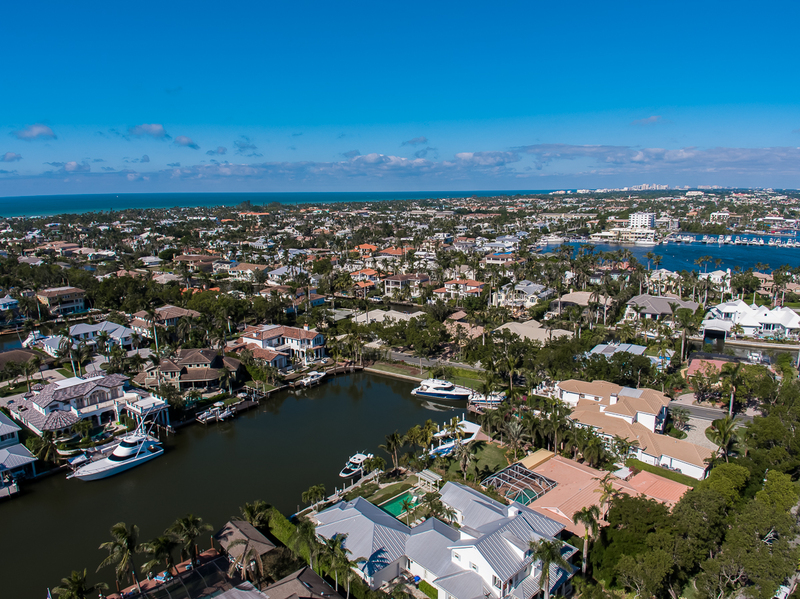 Aqualane Shores was one of the first areas of development in Naples starting back in 1949, the same year Naples became an official city. The first homes were completed in 1950. Today’s property has a two-bedroom home built in 1970 but the attraction for this one is the lot. This property is currently the largest available western exposure site on a wide water cove in Aqualane Shores and is prized for its superior location, size and setting. 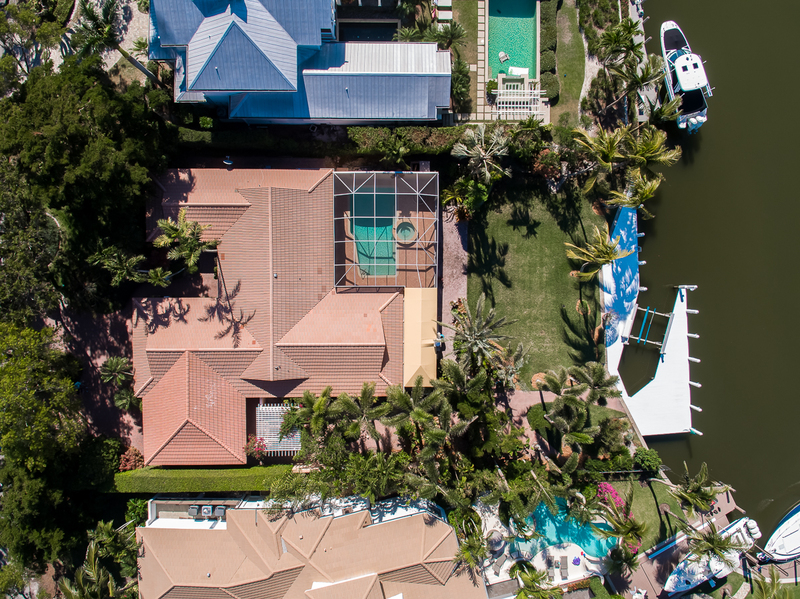 It is nearly one-half acre — a preferred rectangular lot with 100 feet of water frontage, plus up to 190 feet of depth perfect for a yacht. It offers direct Gulf access through the preferable Gordon Pass, free of any bridges along the way. Enjoy the sunsets and holiday fireworks on the beach from the privacy of your lanai. 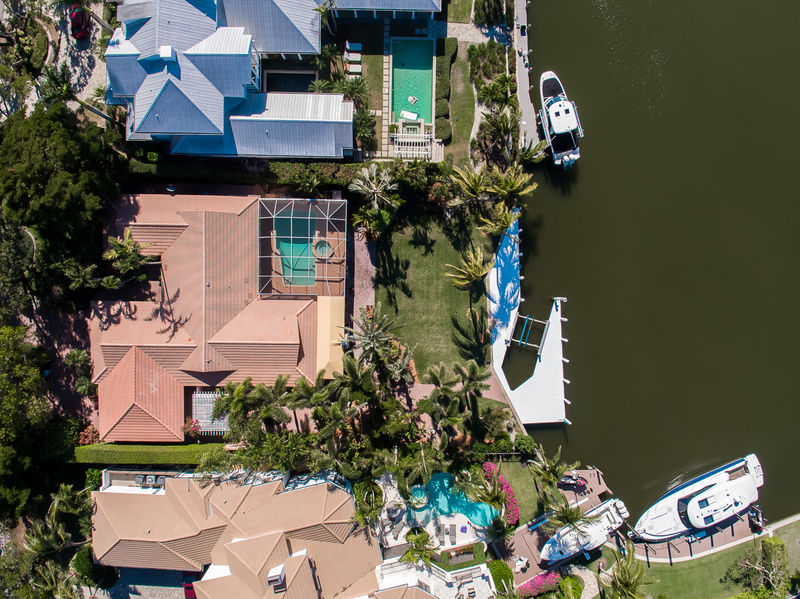 As Flamingo Cove’s wide water welcomes large boats, you are ready to go with 80 linear feet of dock plus large cut-in boat lift. Your family and guests will enjoy the Mahogany tree-lined walk of less than 25 houses to the beach, or stroll to Third Street South’s renowned array of shops and restaurants. Purchase this location today, and take your time envisioning your ultimate tropical dream home…then choose the best builder for your choice. This property is listed for $4.95 million with William Raveis Real Estate Mortage and Insurance, an affiliate of Luxury Portfolio International®.